One day, the Animals woke up. They started thinking. They started talking. They started taking revenge. Jesse and her hound dog, Sandor, have been on the road traveling from New York City to San Francisco to reunite Jesse with her half-brother. They've seen many sights and met many animals and humans, some good, some very bad. Now Jesse has been kidnapped and separated from Sandor. The old hound dog will stop at nothing to return to his cowgirl, but there are some things Sandor can't shield Jesse from, and once innocence is lost, it's lost forever. From creator/writer Marguerite Bennett (INSEXTS, DC Comics Bombshells, Batwoman) with artwork from Rafael De Latorre (SUPERZERO), comes the fourth volume in the acclaimed ANIMOSITY series, containing issues #14-18. Rural vampire Chip is dragged from his boring life as a late night convenience store clerk and into a monstrous conspiracy, as he protects the ravishing vampiress Kamille from the Order of Eventide. Can Chip be the hero he always saw himself as? 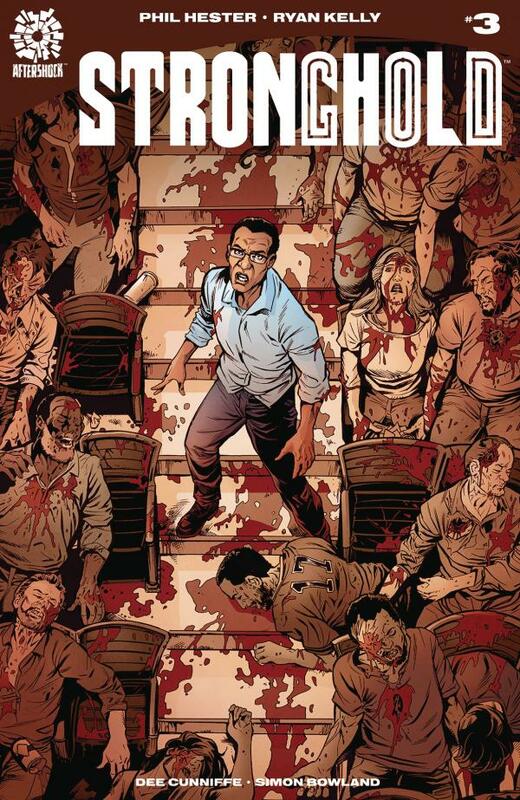 Tim Seeley (BRLLIANT TRASH, Hack/Slash, Grayson) and Corin Powell (Ghostbusters, Bat-Mite) bring you a contemporary and horrifying tale of vampirism in the heart of America - one that'll make you jump right out of your boots. For nearly two centuries, scholars have wondered how on earth Mary Shelley, a nineteen-year-old girl, was able to conjure one of the most frightening and enduring horror stories of all-time: Frankenstein. But with the recent discovery of Mary Shelley's secret memoir, the truth is finally revealed: Mary Shelley didn't just write Frankenstein, she lived it. 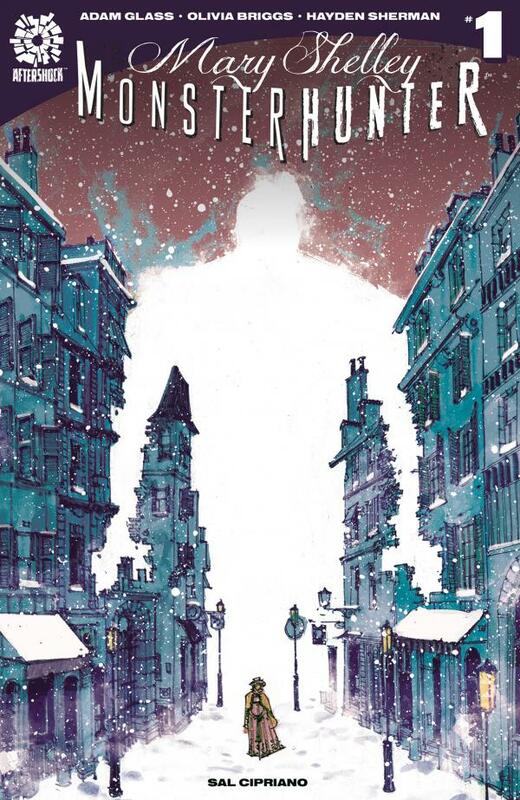 Traveling back to that historic Geneva winter of 1816, Mary, her fiancé Percy, sisters Claire and Fanny, and the celebrated poet Lord Byron, find themselves guests of the eerie Frankenstein Estate. The macabre and frightening events that follow lead Mary to both a gruesome and shocking discovery. Their mysterious host is not at all what they expected, and their intentions will change the course of Mary's life for-ever. Brought to life by Adam Glass (ROUGH RIDERS, THE NORMALS, THE LOLLIPOP KIDS) and Olivia Briggs (E TV's The Arrangement) with art by Hayden Sherman (COLD WAR, The Few, Wasted Space), Mary Shelley: Monster Hunter is historical fiction at its most (After)shocking! Everyone know that the two greatest thieves in the city are the Moth and the Whisper. What nobody knows is that the Moth and Whisper disappeared months ago and the new Moth and Whisper is actually one person pretending to be both of them: Niki, the child of the Moth and the Whisper. Niki has been trained by their parents in the arts of stealth and infiltration, but they're still just a teenager, and now they're alone, searching for their parents in a hostile, cyberpunk dystopia. The truth about Niki's parents and their disappearance is out there, but can Niki survive long enough to find it? A YA cyberpunk thriller starring a genderqueer super-thief, MOTH & WHISPER is the brainchild of Ted Anderson (My Little Pony, Adventure Time) and Jen Hickman (Jem and the Holograms, The Dead). 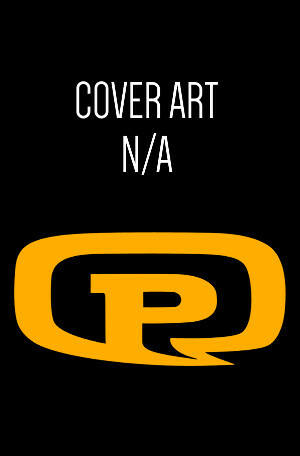 This first volume contains the highly-acclaimed issues #1-5. While Bonnie faces off against the horror at the heart of the Endless Labyrinth, Oberon must reformulate his latest scheme and turn disappointment into triumph. The truth behind Mother Mayie is revealed in this next magical chapter. 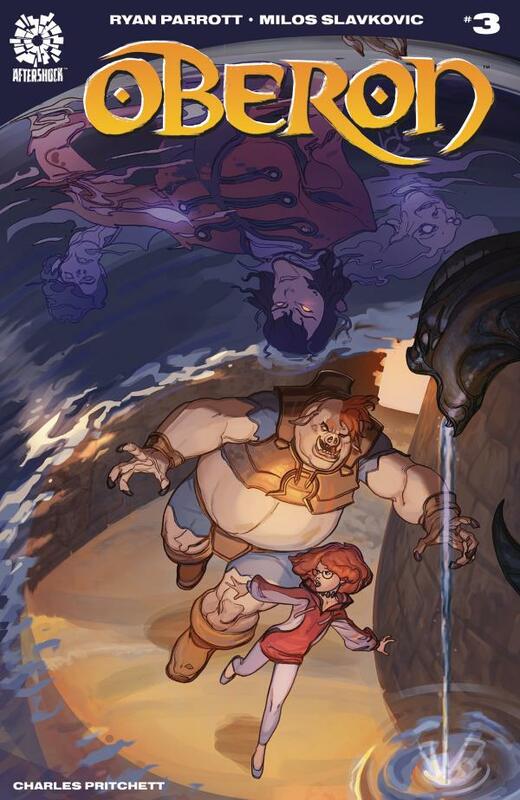 From writer Ryan Parrot (VOLITION, Power Rangers) and artist Milos Slavkovic (Lightstep), OBERON is a new supernatural adventure proving once and for all that fairies should never be trusted. One day all the adults died, all over the world, at the same time. Now it's twenty years later, and the children - all grown up - are still rebuilding the world. Horses and caravans are the only thin lines connecting tiny, scattered settlements - little sparks in the great dark night. Gasoline is gone, phones long-dead, television a memory. The only power in America is the New Church, the religion of the angry children, that blames the destruction of the old world on the dead adults. In the settlement of Dallastown, a stranger comes riding in one day, telling a story of escape from the New Church's unstoppable Firemen. The Church is on the march, and the world might burn again - and the only hope might be a scared teenage girl, a gunslinger keeping his se-crets, and a woman of few words and long knives. 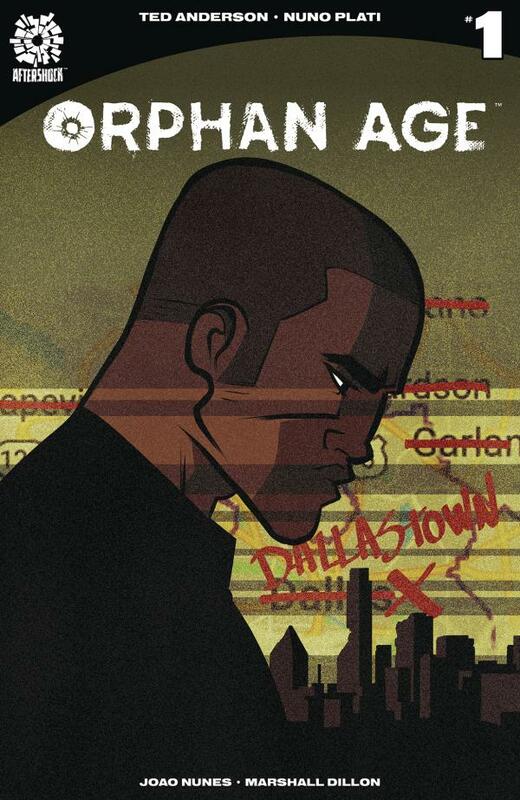 Welcome to the Orphan Age. Written by Ted Anderson (MOTH & WHISPER, My Little Pony, Adventure Time) with art by Nuno Plati (Alpha: Big Time, Marvel Girl). The 1990's. Tragedy strikes the Beharrell family in the form of a debilitating stroke. Now the youngest child in the family is convinced his paralyzed father didn't truly fall ill but is pos-sessed by something sinister. He believes a demon, THE REPLACER, has come to take away his jolly, agreeable, tech-obsessed Dad. But no one seems to see the monster - and with every passing day, his father falls deeper into the clutches of evil. 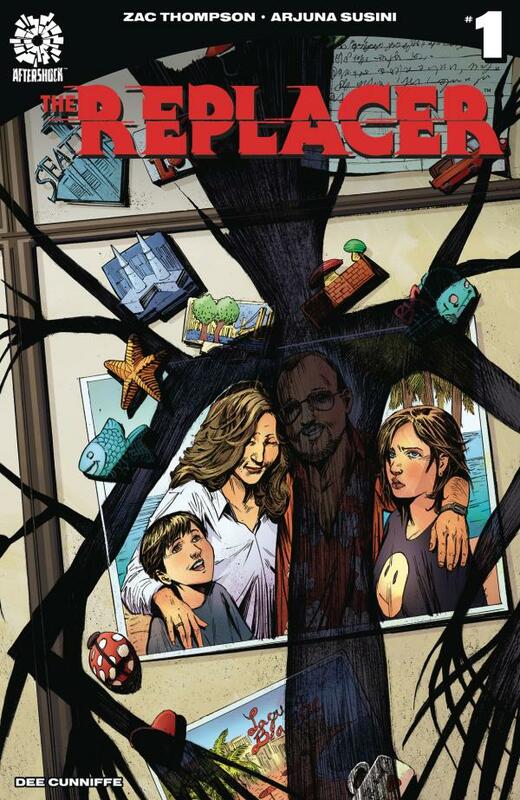 Based on Zac Thompson's true story of coming to terms with a disabled parent, THE RE-PLACER is a complete 64-page graphic meditation on loss, tragedy and fear told through the eyes of a nine-year-old - a horror tale about learning to walk again, even if a demon has to teach you how to do it. A bizarre mashup of IT, The Exorcist and The Diving Bell and The Butterfly, with stunning visuals by Arjuna Susini (Made Men), THE REPLACER is not for the faint of heart. When the last vestiges of normalcy are stripped from Michael Grey's life, he is finally confront-ed by his past in the far-flung cosmos...and the enemies he made there. Can the Stronghold put the broken pieces of Grey's life back together before the terrors he battled in the stars follow him to our fragile Earth? Phil Hester (The Coffin, Deathstroke, The Darkness, SHIPWRECK) and Ryan Kelly (The Wicked & The Divine, Lucifer, Saucer Country) weave a tale of cosmic horror, high-adventure and tragic romance unlike anything else in comics.